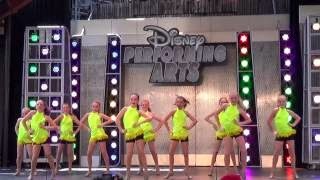 I am so proud of my daughter Mika who performed at Disneyland this July. A total of 42 children performed and here is their YouTube video. Mika is in Crew 1 (Walk the Dinosaurs) and with the bunch of girls wearing the pink halters. She is the well tanned child in the front.